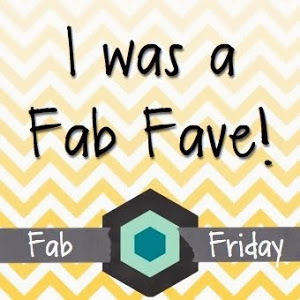 It's Christmas in July thanks to the FabFriday#92 here. It's a color challenge to use Cherry Cobbler, Garden Green and Very Vanilla. Well those colors just happen to be in the This Christmas Specialty DSP. I also used the MojoMonday Sketch#457 here. 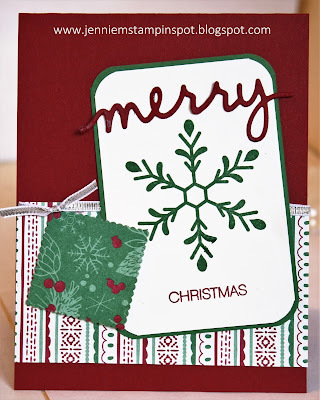 Holly Jolly Greetings is the stamp set with the coordinating Christmas Greetings Thinlits. 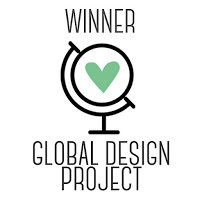 I love this sketch for the Pals Paper Arts#310 here! It' so easy to use any of the awesome DSP because they all coordinate. 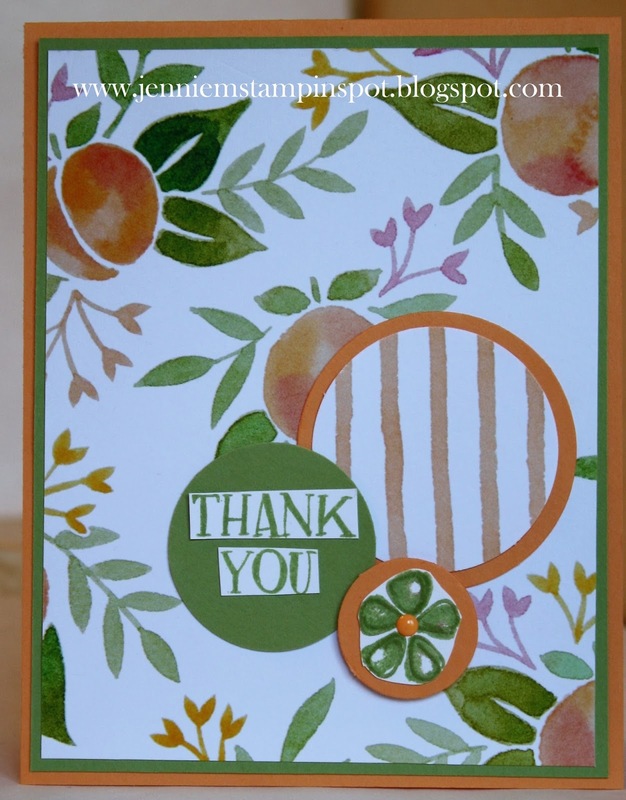 I chose to use the Fruit Stand DSP with the coordinating Fresh Fruit stamp set. 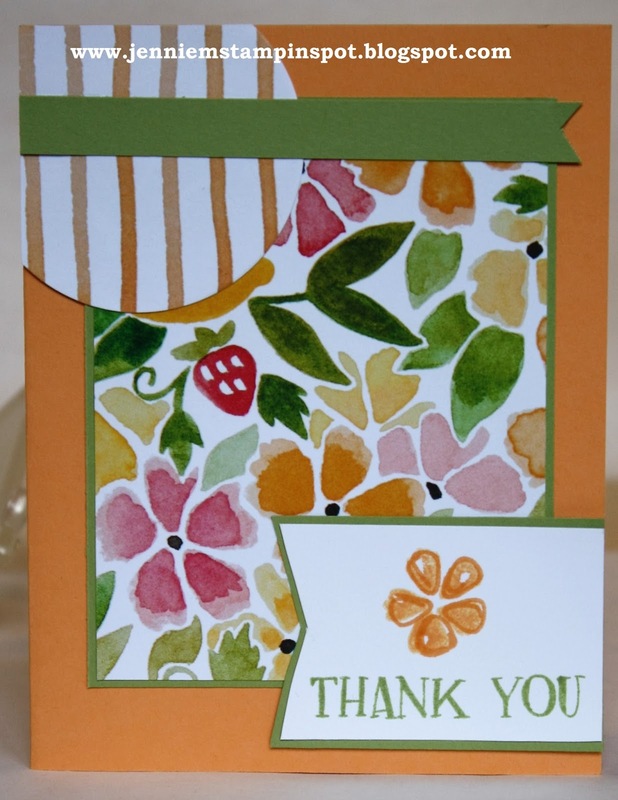 I need some more thank you cards so I used a sketch and color challenge for this one. First, I used the Freshly Made Sketch#246 here. 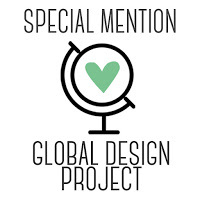 And I paired that with the Global Design Project#045 here. 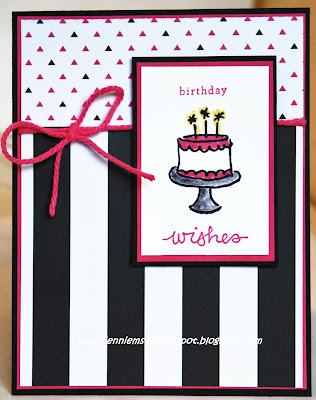 This is a color challenge to use Basic Black, Smoky Slate and Melon Mambo. 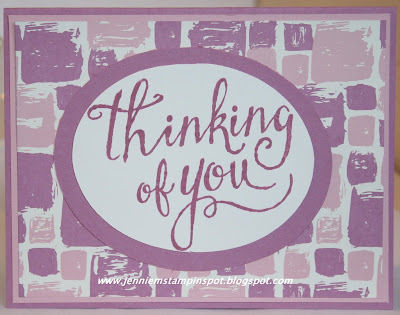 Thoughtful Banner is the stamp set with some Pop of Pin Specialty DSP. 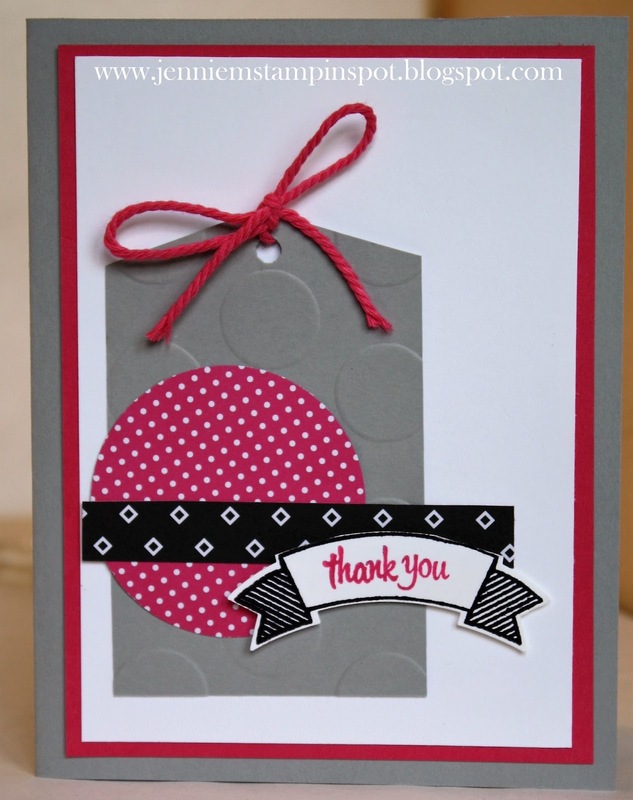 This thank you came together really quickly using the Fab Friday#91 here. 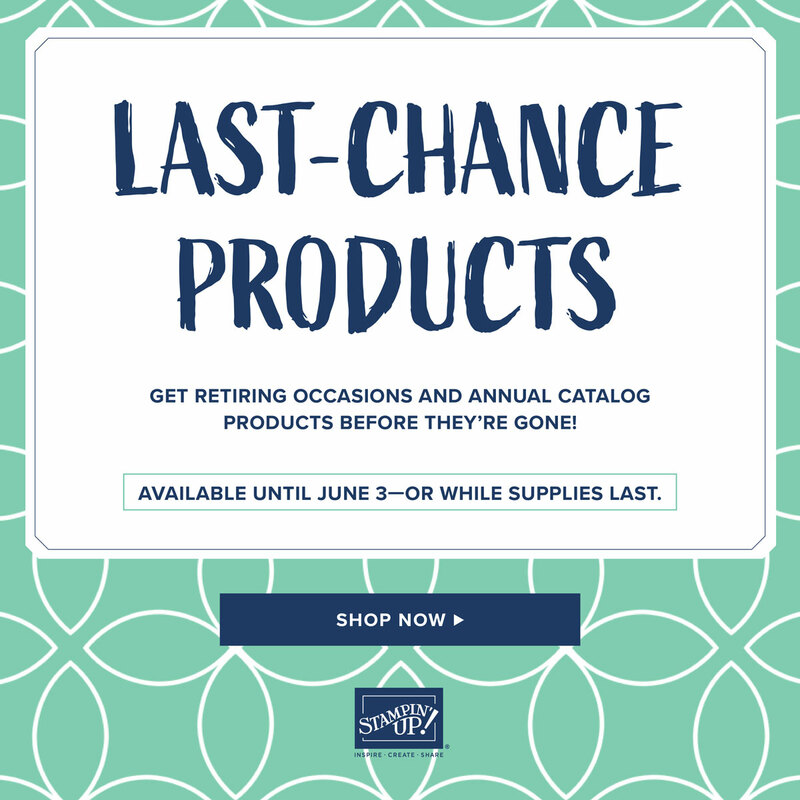 Perfectly Wrapped is the stamp set with some 2016-2018 In Color DSP Stack. This thank you uses a sketch and color challenge. 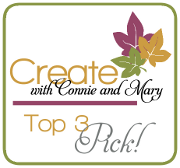 First, the sketch is from the Create with Connie & Mary#415 here. And the colors are from the Can You Case It#129 here. The colors to use are Pinks, Dark Blues & Neutrals. 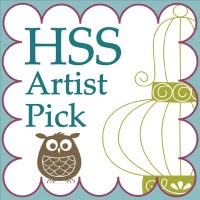 Flower Shop and Thoughtful Banners are the stamp sets with some Serene Scenery DSP Stack. Needed a birthday card for our nephew so I combined a sketch and a color challenge. First, I used the Can You Case It#128 here for the sketch. 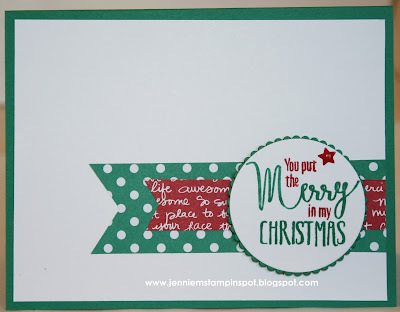 And then the Hand Stamped Sentiments Color Challenge#242 here for the colors. The colors are Cherry Cobbler, Dapper Denim and Very Vanilla. 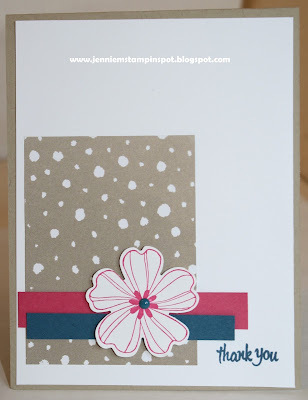 I used Whisper White instead because I HAD to match the In Color DSP! 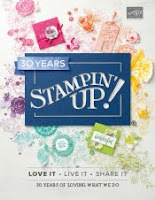 Confetti Celebration is the stamp set with some 2016-2018 In Color DSP Stack. This birthday card uses the Freshly Made Sketch#245 here. 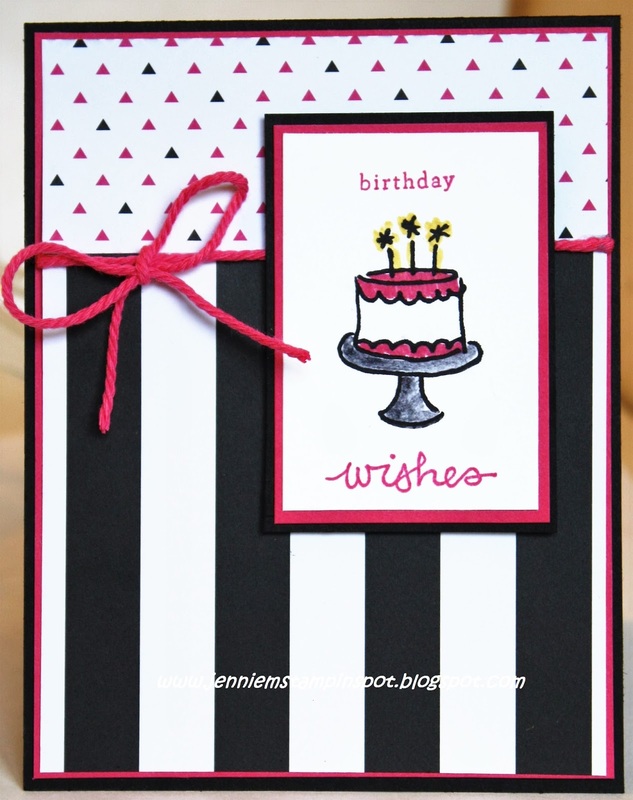 Endless Birthday Wishes is the stamp set with some Pop of Pink Specialty DSP. 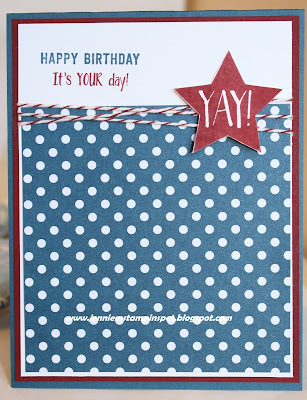 Since I had some Night of Navy card stock out from yesterday's card, I thought I'd use it for today's card that uses two challenges. First, is the Splitcoast Color Challenge#591 here. The colors to use are Night of Navy, Flirty Flamingo and Mint Macaron. I also used the MojoMonday Sketch#456 here. 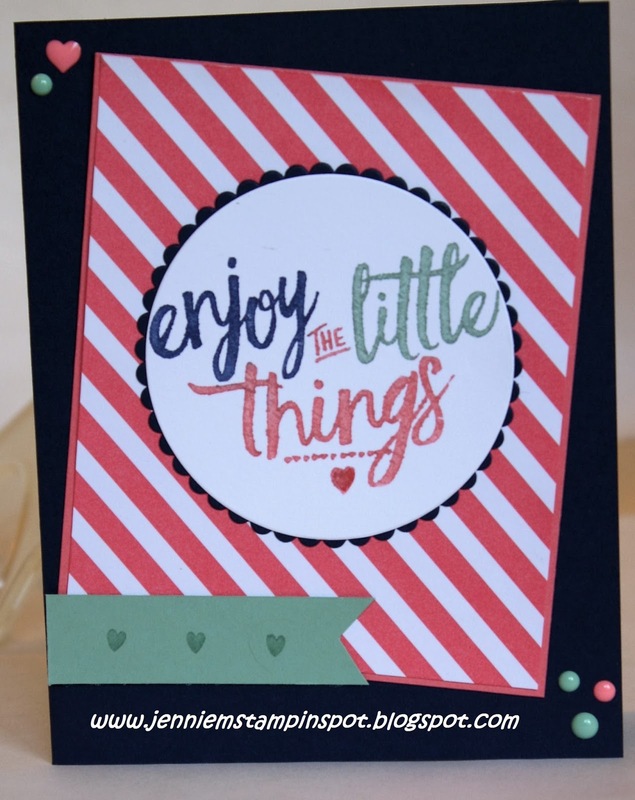 Layering Love is the stamp set with some 2016-2018 In Color DSP Stack. 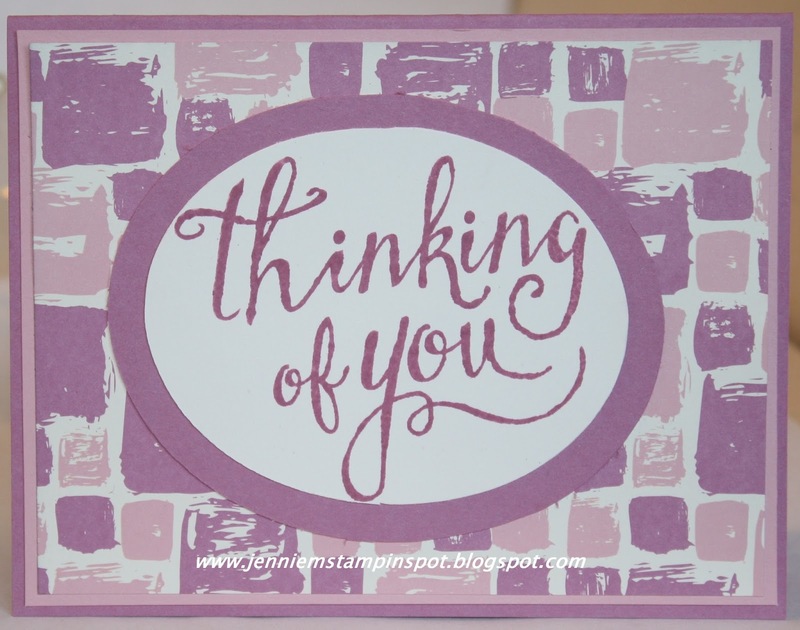 This is an anniversary card using the Pals Paper Arts#308 here. Perfectly Wrapped is the stamp set with some Affectionately Yours Specialty DSP. 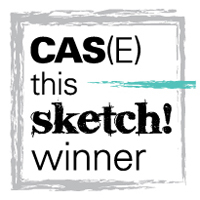 This CAS card uses the Freshly Made Sketch#244 here. 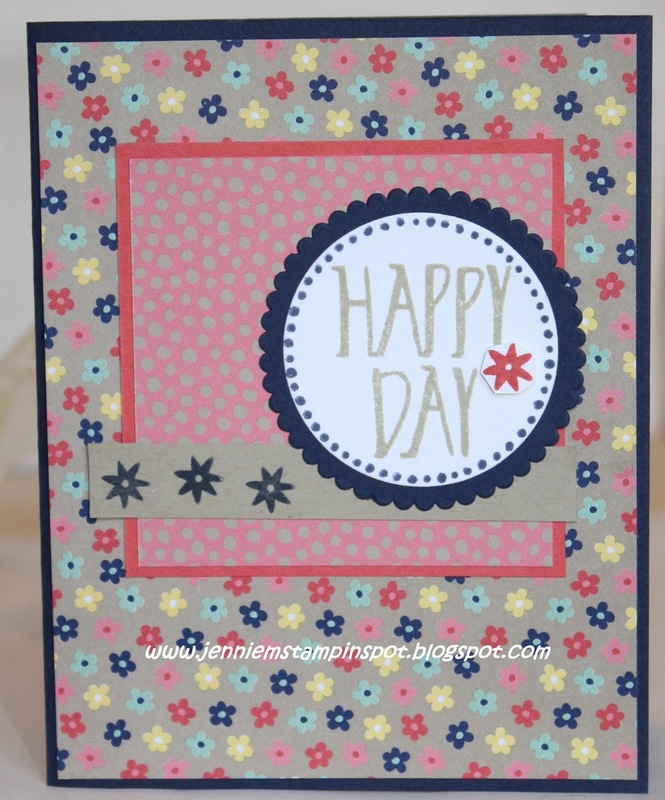 A new Hostess set, Time of Year, is the stamp set with some Playful Palette DSP Stack. 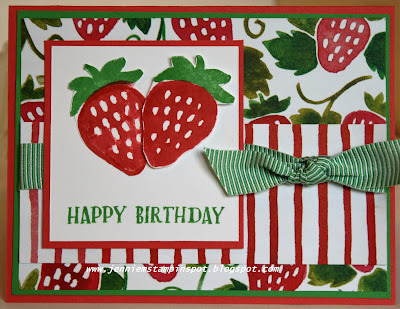 This Berry Birthday card is for two challenges. First, the Splitcoast Sketch#600 here. It's actually a challenge to choose your favorite sketch between 500-599. So I chose the Splitcoast Sketch#537 here. 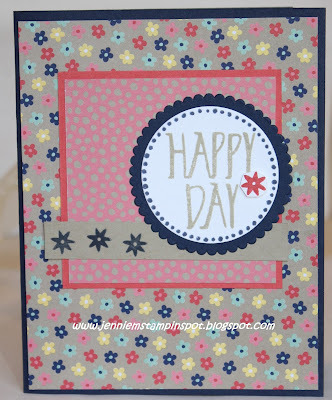 This card also uses the Stampin' Celebration Challenge#130 here. 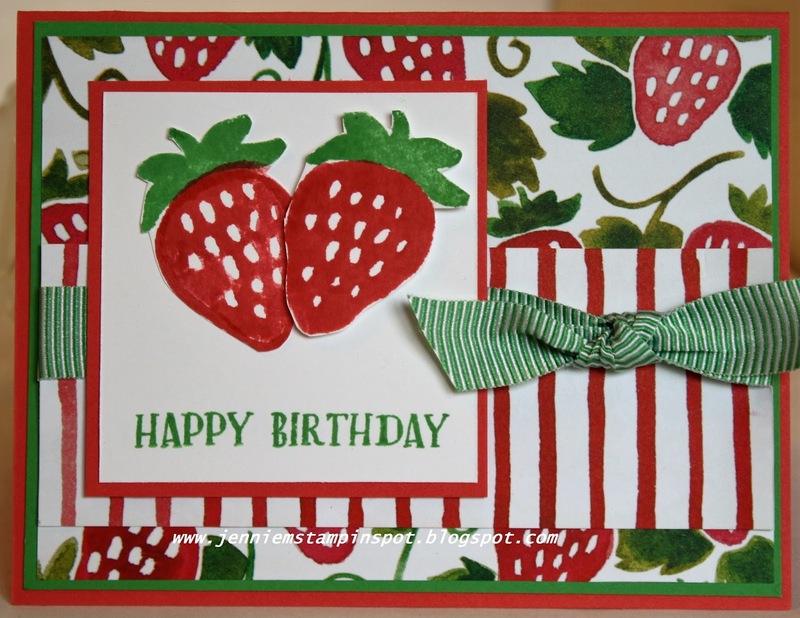 I love red and thought of the strawberries and the new stamp set, Fresh Fruit and coordinating DSP, Fruit Stand DSP. This card is for two challenges and showcases new catalog products. First, I used The Paper Players#302 here. 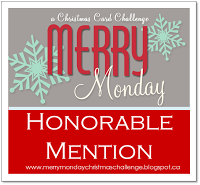 It's a Christmas in July theme challenge. 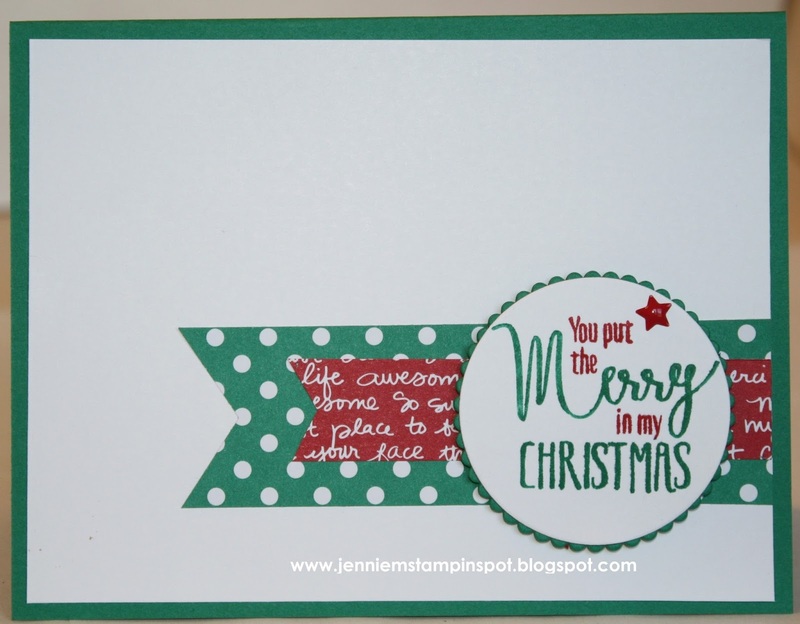 Second, I used the Hand Stamped Sentiments Sketch Challenge#241 here. 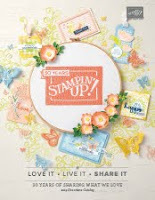 The new stamp set is the Ronald McDonald House Charities set called My Hero. And there's some new 2016-2018 In Color DSP Stack. I got a chance to stamp today after a fun filled holiday weekend. I used the new stamp set, Fresh Fruit with it's coordinating papers, Fruit Stand DSP. I also used the MojoMonday#455 here.